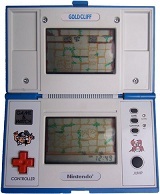 Is that a Nintendo DS? 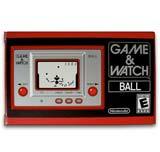 No, it’s a Game & Watch! 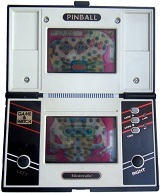 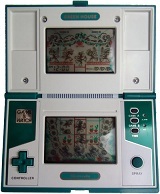 The Game & Watch was one of Nintendo’s first big successes. 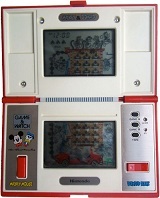 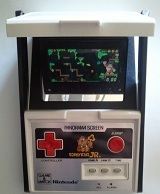 As the name implied, the Game & Watch included a clock and alarm in addition to the built in game to make it the perfect early 80’s portable game and accessory. 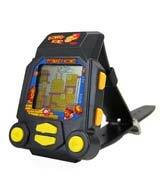 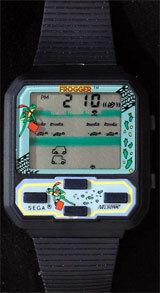 Many iconic Nintendo game franchises had their own Game & Watches, including Donkey Kong, Legend of Zelda and Mario. 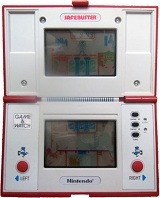 Created by legendary Nintendo inventor Gunpei Yokoi (D-Pad, Game Boy, Virtual Boy), the Game & Watch saw over 60 different handheld releases between 1980 and 1991. 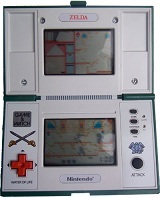 The Game & Watch’s legacy continues to this very day; Nintendo’s line of DS Systems, including the 3DS have a body design that takes more than a little inspiration from the Game & Watch. 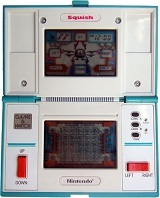 Mr. Game & Watch, the line’s mascot, is even rumored to be a playable character in the new Super Smash Bros. 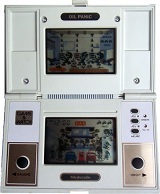 While the system may be a relic of the past, its influence is still felt over thirty years later!